Exactly once a year, on an undisclosed and constantly shifting date, Unique Leader puts out a killer death metal record. Think about it. Last year I heaped praise on Cytotoxin‘s Gammageddon. 2016? Dasein. 2015? Arisen New Era. Before that? The Flesh Prevails, Dingir, A Perfect Absolution… Frankly, it smacks of conspiracy. I have no idea what the label stands to gain from this strategy of randomly inserting quality product among a dozen bags of Drano, but this Skinner box of brutality does keep me coming back to the alley in the hopes that the next record I pick up from them will be the one that’s allowed to shine. Molten Giant never stood a chance. That’s because Unique leader released Lago‘s Sea of Duress1 in June, seemingly ensuring mediocrity for the rest of their 2018 output. France’s Exocrine play a synth-heavy brand of somewhat brutal, techy death metal that seems on the surface indistinguishable from the label’s fifty other bands. 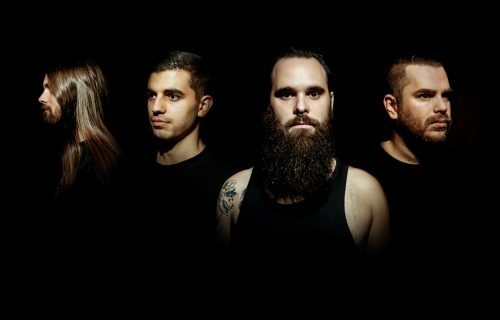 There’s obvious credit due to The Faceless here for the tight production, synth melodies, and tasteful nods to deathcore, but it’s a far cry from the ground up Planetary Duality and more like the Arkaik that gets pushed regularly just to give you a hint of the high-end stuff. On the first few spins, Molten Giant sounds like business as usual. 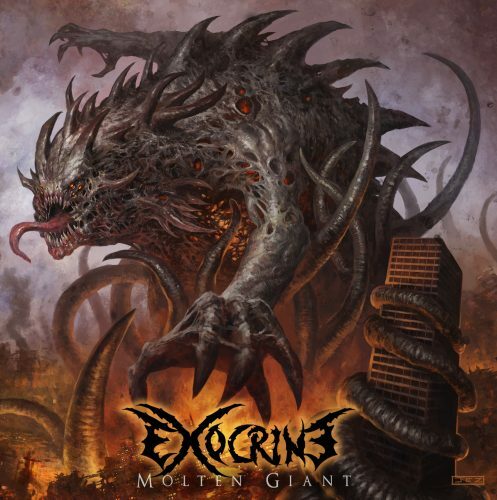 But the more I listened to Molten Giant, the more obvious it became that Exocrine do not exist merely to emulate. Even if “Lavaburst” sounds like an off-cut evolving from Planetary Duality towards Autotheism, it’s still a good song, and the material surrounding it can be just as strong. “Hayato” throws listeners for a loop with a viral verse riff tapped in Gorod-esque fashion and makes great use of a bridging solo covering multiple riffs. Even if closer “Shape of New World” throws a bit too much all into the same pot, its acoustic break and constant shifts in tone define the song in opposition to an album that otherwise sticks to fairly easy-to-follow structures. Yet nothing in Molten Giant constitutes must-hear material. The album’s best songs and most impressive moments don’t exactly explode with novelty or relevance, and though precious little of its music constitutes the truly mundane, the band scrape only enough good material into a line to keep the buzz going. It doesn’t help matters that the album hits with all of the subtlety and nuance of a Trump tweet; the production is loud and clean and also very loud, plus it’s loud. Sad! Indeed. Even if the material on Molten Giant was of high quality, I’d still find it difficult to give this album consecutive listens, as the lacertilian loudness overlords that run tech death have decreed that all of it be mastered to within an inch of its life. Low-quality tech death is a destructive habit. No matter how much the big cartels push it, we as their intended consumers have to resist the scheme. Luckily, there are easy ways to steel one’s self against the dangers of this music while retaining your ability to explore musically. Stay away from labels that are too big or too small; be wary of bands from anywhere south of Canada (in North America) or Germany (in Europe); the more strings their guitars have, the more likely its closet djent; and, finally, say no to spheres. It’s just this calculus that puts Exocrine in the grey area: worthy of a listen but far from guaranteed quality. In cases such as that of Molten Giant, the danger is not too great for you to sample even the full album, but if you’ve been burned too many times before and just want straight answers before you go in… you know where to go.